ANDRAY Blatche is doubtful for Gilas Pilipinas' campaign in the 2017 Fiba Asia Cup because the naturalized player is reluctant to join the Lebanon trip due to security concerns, sources told SPIN.ph on Monday. Gilas officials had been negotiating for weeks with the Blatche camp over his participation in the Fiba Asia campaign as well as in the home-and-away qualifiers for the 2019 World Cup in China. However, sources bared the Gilas camp has yet to go nowhere since the former NBA player is having second thoughts joining the trip due to the security situation in Lebanon which is hosting the Asian championships from August 8-20. The situation is expected to clear up on Monday afternoon when the Gilas team that competed in the last Jones Cup in Taipei, led by coach Chot Reyes and team manager Butch Antonio, is hosted by top basketball patron Manny V. Pangilinan in a merienda at the Meralco offices. Blatche last joined Gilas in the Seaba Cup in Manila and has since stayed in the US to be with his wife and newborn child with the Chinese Basketball Association (CBA) season yet to start. 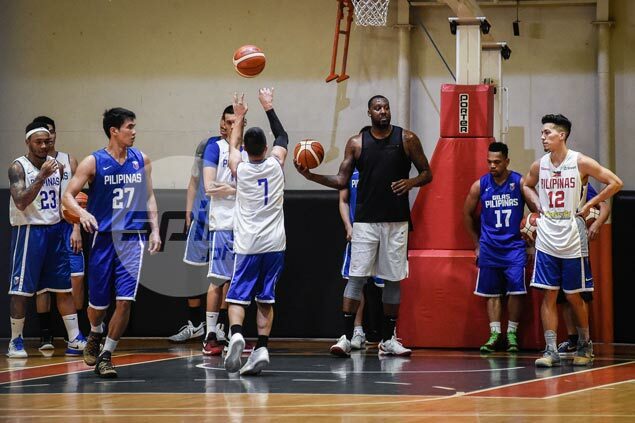 At posting time, sources said Reyes is still hoping to convince Blatche to go. But time is not on Gilas' side since the Samahang Basketbol ng Pilipinas (SBP) needs to submit its 12-man lineup for the Fiba Asia Cup by noon of Tuesday. In the event Blatche is unavailable, Gilas may opt to go for Fil-German Christian Standhardinger who gave a good account of himself in the Philippines' fourth-place finish in the last Jones Cup. 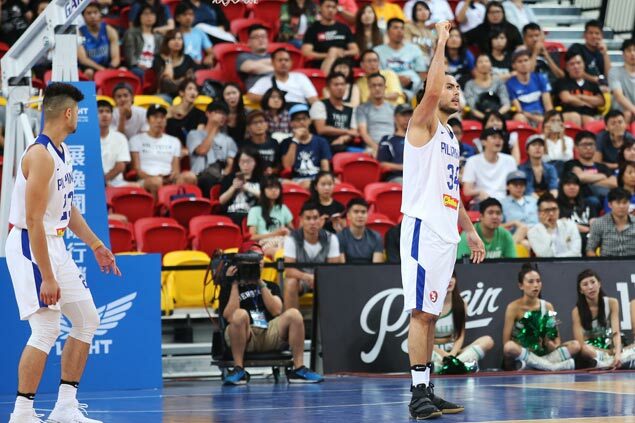 Standhardinger is slated to reinforce a separate Gilas team made up mostly of cadets and amateur stars in the Southeast Asian Games in Kuala Lumpur beginning on August 20. But if push comes to shove, the 6-8 big man, who has been cleared by Fiba to play as a naturalized player for the Philippines, may be forced to join the Fiba Asia Cup trip as well. The Munich-born banger has a Filipina mother but failed to secure a Philippine passport before turning 16, making him ineligible to play for Gilas as a homegrown player under Fiba's stringent rules. Also set to be tackled on Monday is the final composition of the Gilas team to the Fiba Asia Cup, with Reyes set to pick from a pool of 25 players excluding those who will be tapped for the SEA Games. Reyes is set to announce the Final 12 on Tuesday.